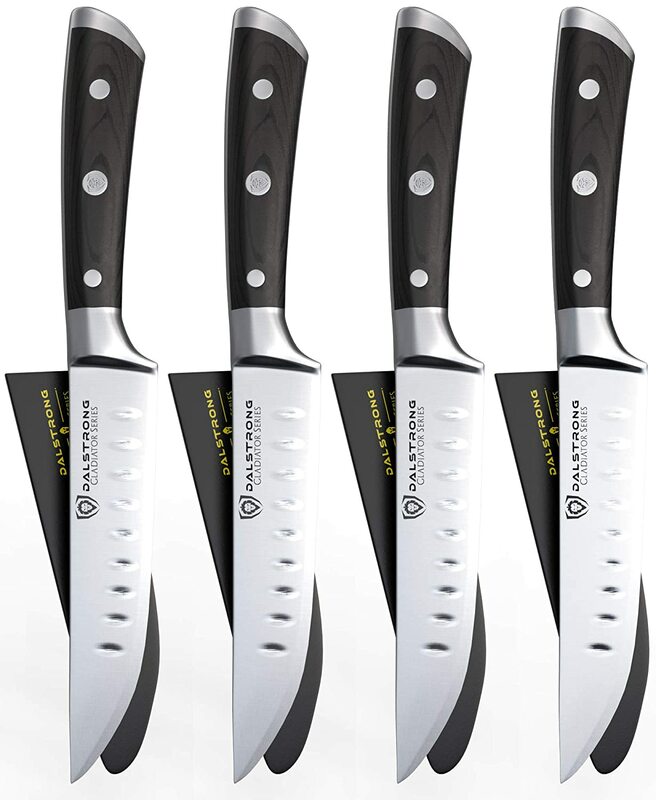 Kitchen knives are products that you should not go out and buy on a whim during a Black Friday Kitchen Knife Sale. Quick purchases based only upon the lowest price may result in a set of knives that are low quality. You may also buy more knives that you actually need. There are several questions that should be answered before making your knife purchase. I created SteelBlue Kitchen to help others discover, research, and select knives and other kitchen products that meet their needs, desires, and budget. The following kitchen knives are my overall recommended Black Friday buys from the available sales. I have selected my top choices in various categories. The following kitchen knife sets are the best Black Friday deals from all the stores having sales. 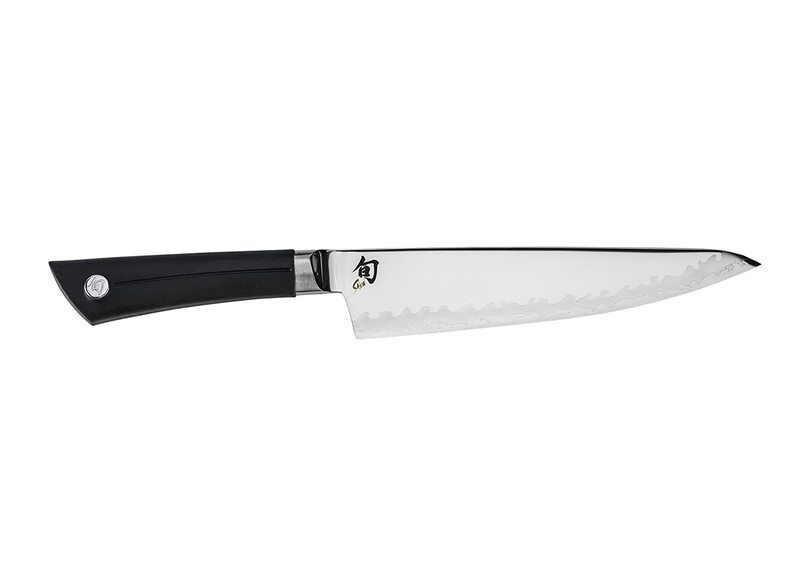 The following chef knives are the best Black Friday deals from all the stores having sales. Amazon, the largest online retailer in the world does not disappoint with their sales. Of course, their sales are not limited to just kitchen knives. I’ve done my best to put the most up to date price. Varies. Many sales have already begun. Ceramic hardness of sharpening steel is 9 Mohs (SGS tested). This fairly new knife company offers a wide range of knives and knife sets that include unique designs and a lifetime warranty against defects. 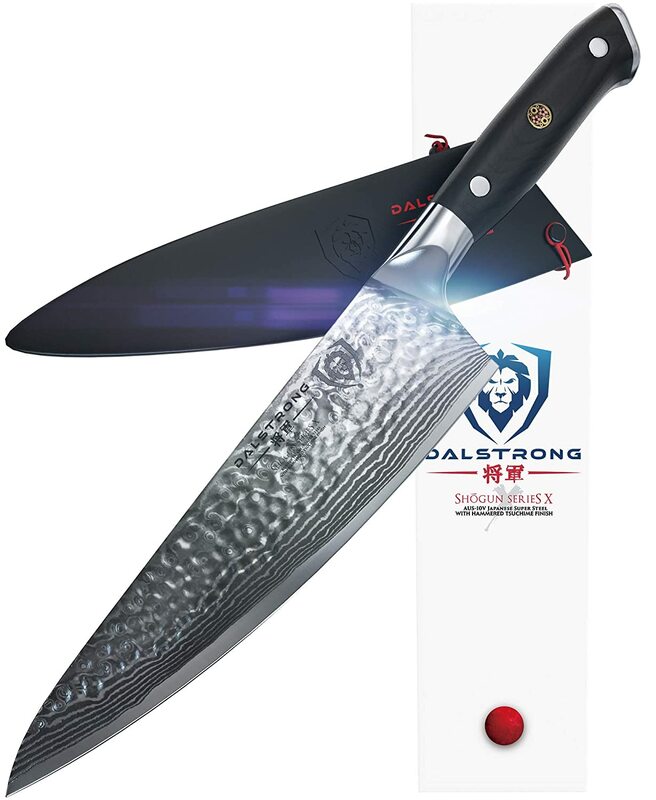 Dalstrong will be offering at least 15% off for all of their knives on Black Friday. Take a look at a few of their current deals below. Groupon is not normally a place that comes to mind for Black Friday deals, but this year they released a sales ad with hundreds of items. Outside of shopping online, JCPenny is opening their doors 2 PM Thursdays which sooner than any other store. Be sure you are ready to take advantage of their great cookware sales. This year they are providing several different special coupon for those that arrive early to the sale. Those early shoppers at each location have the chance of winning a $500 off on $500 coupon, a $100 off on $100 coupon, or a $10 off on $10 coupon. Friday spend $50 or more and get a 20% coupon to use November 27th – December 8th. Although Target does not have any knife sets on sale, I have included some of their best kitchen deals. Black Friday is only a few weeks away, and stores are already releasing pre-sales for many of their products. Here are great deals that you can go ahead and take advantage of before Black Friday gets here. Blade is forged with hand-polished edges and precise tempering. 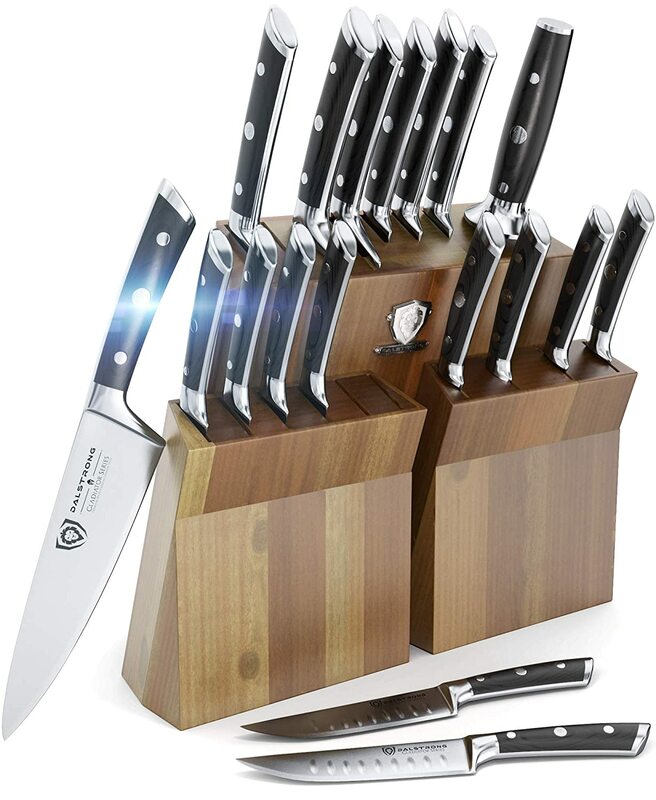 All Knives Store Safely In The Pakkawood Knife Block. 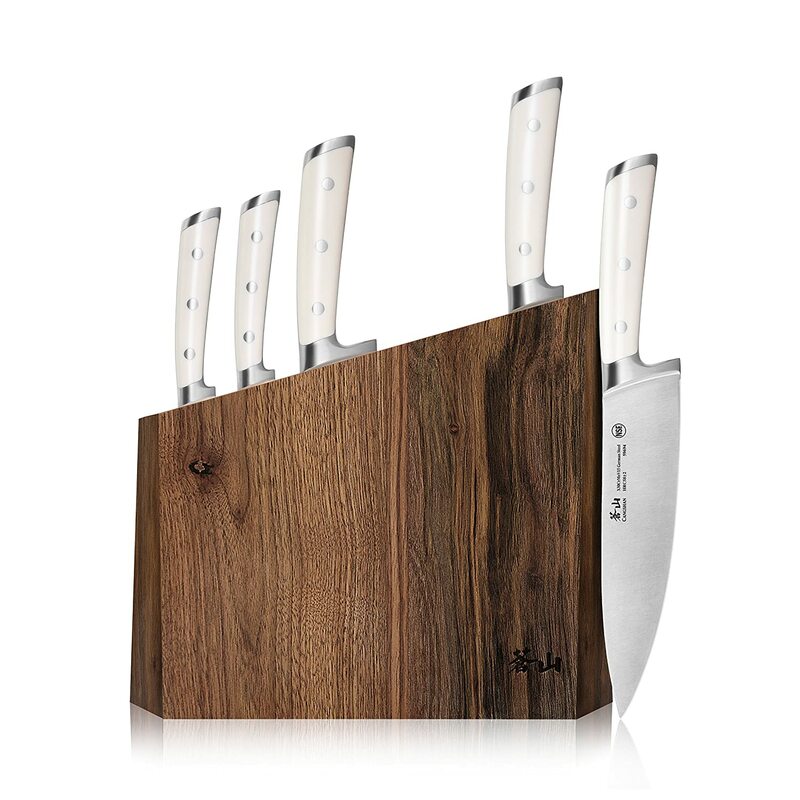 This Knife Set With A Block Is An Essential For Both Professional and Amateur Cooks-kitchen starter set. 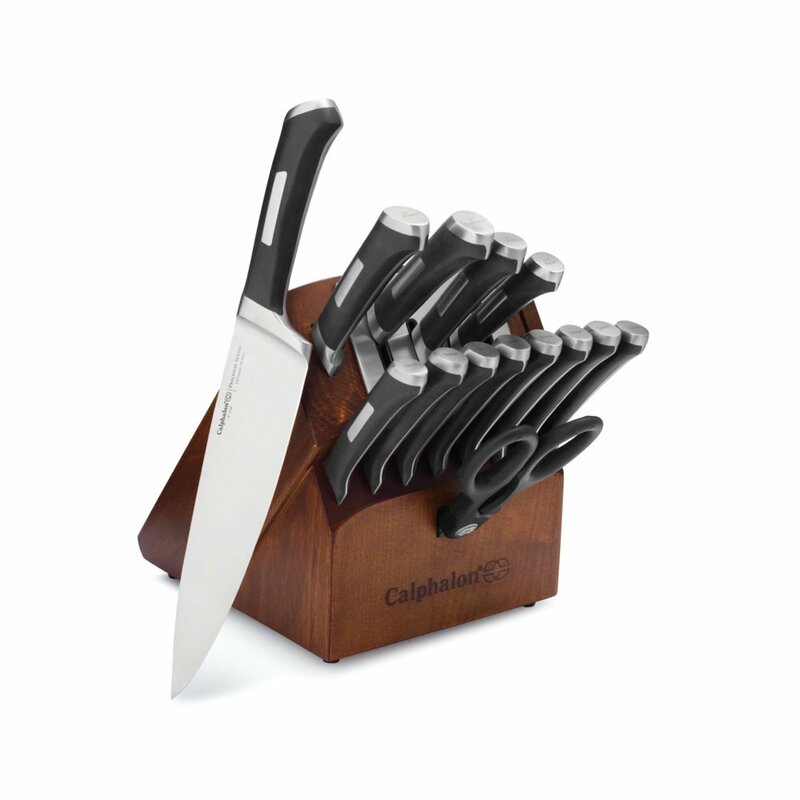 Knives most commonly come in a set with a knife block. 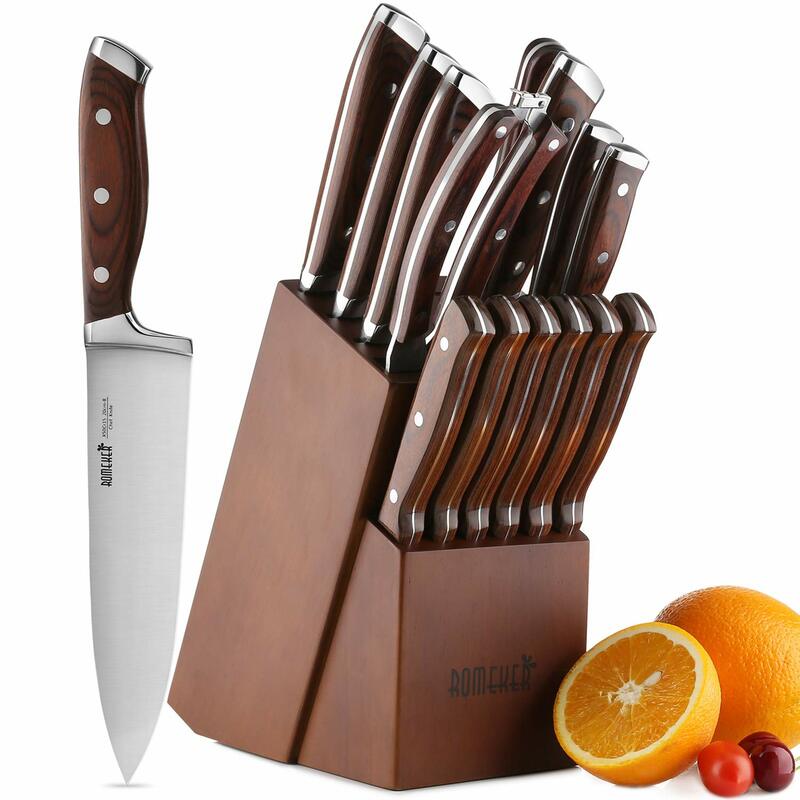 Other than having a good set of steak knives, these sets come with more variety of knives that you actually need. I recommend that you use what I call the Kitchen Knife Trio. This consists of a chef knife, bread knife, and pairing knife. 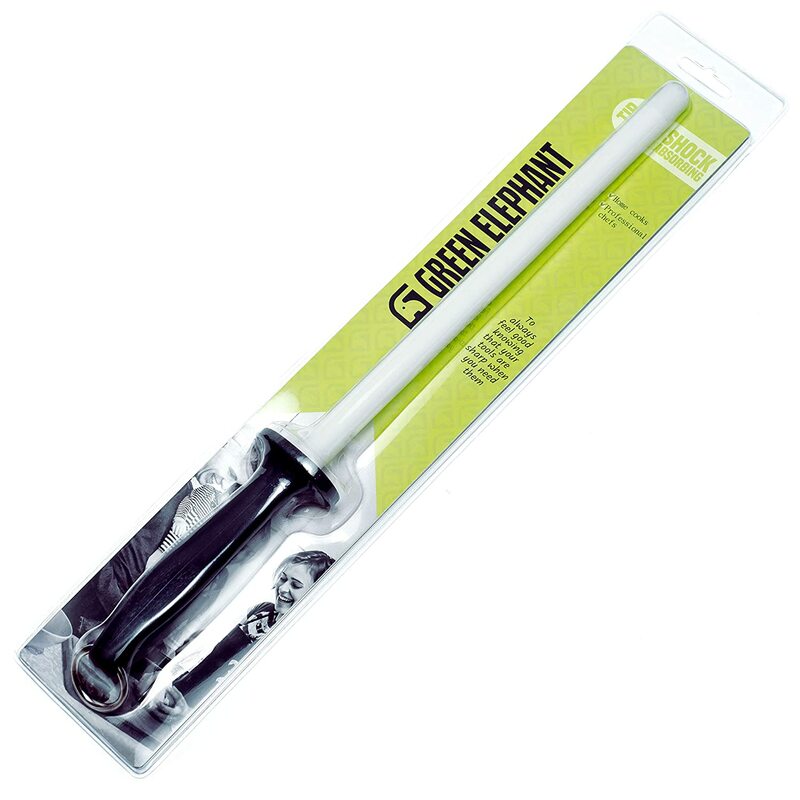 These knives provide you with the right tools to do the most common kitchen tasks. The chef’s knife is the workhorse of the three. It can be used for a wide range of cuts such as mincing herbs, slicing meats, and chopping vegetables. 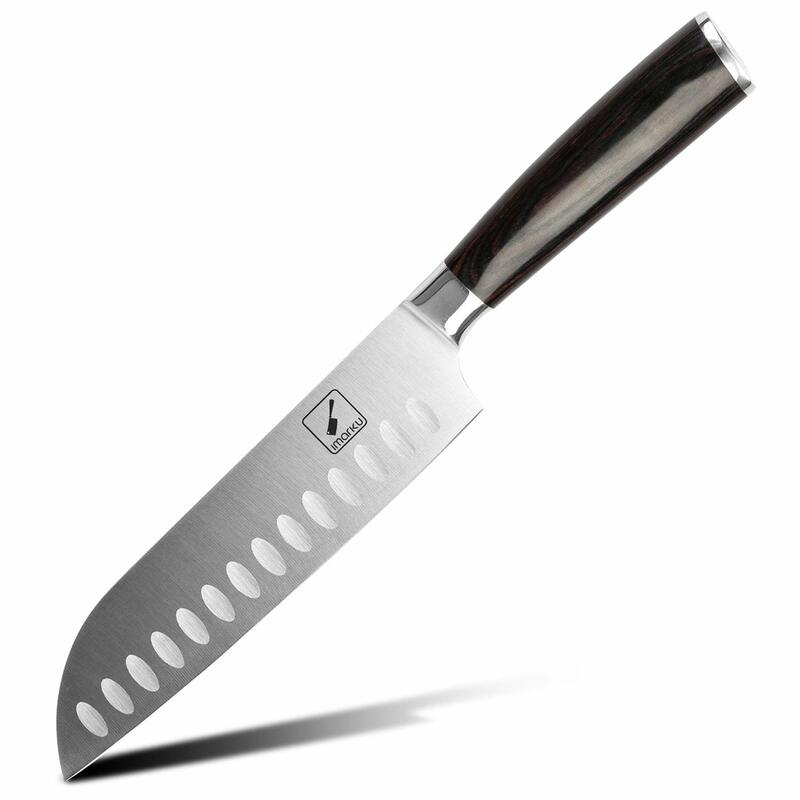 A good chef’s knife is between 8-10″. A bread knife has a slightly different blade than the chef’s knife with its surrated edges. Those edges are perfect for sawing through the hard bread crusts, but can be used to slice cake or fruits and vegetables. A good bread knife is about 10″. 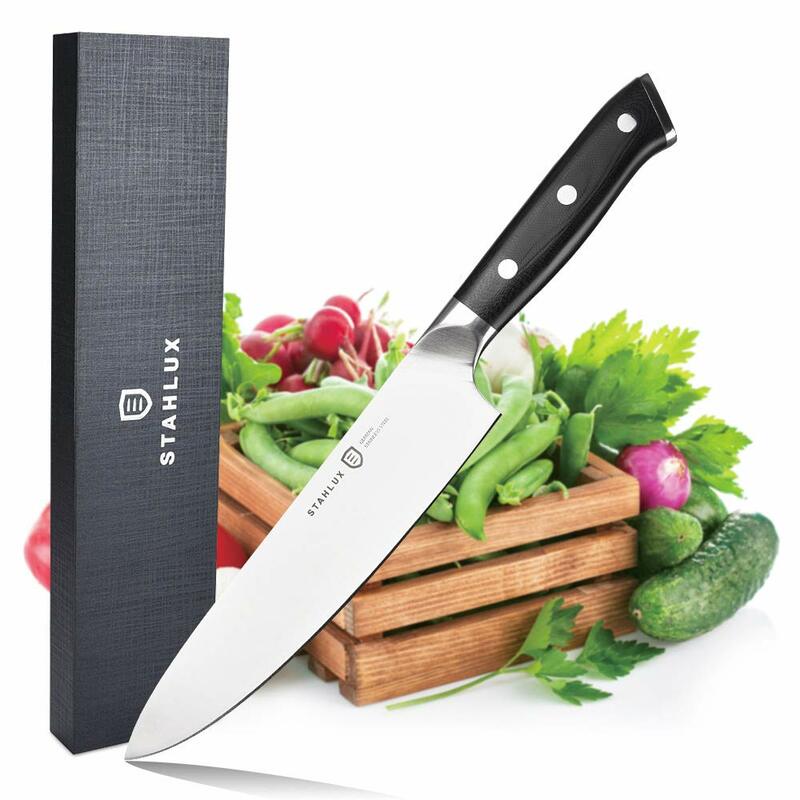 A pairing knife is perfect for little jobs that a chef’s knife may be too big for such as removing the stems from strawberries, cutting up and peeling fruits, or hulling tomatoes. A good pairing knife is between 3-4″. Be sure you are familiar with the blade style. Knife blades are either stamped or forged. Many of the Black Friday knives have stamped knife blades. A stamped blade is “stamped” or cut out from a large piece of steel. It is then processed to add durability and a sharp cutting edge. (Example: Victorinox Fibrox Chefs Knife) These types of knives are usually lighter in weight and less expensive than forged knives. Don’t be afraid of stamped knives as there are some really some good ones out there at a fraction of the cost of forged knives. The other popular style is the forged knife blade. This blade uses a piece of steel that is heated and hammered into the shape of the blade. Western style forged knives usually have a thick bolster between the handle and the blade. These knives are heavier than stamped blades, and can be of higher quality. They usually come with a higher price tag. There are three main types of handles: wood, stainless steel, and plastic. Wood handles used to be more popular; however, they are not seen a favorable in commercial restaurants because the wood can harbor bacteria. Stainless steel handles require little to no maintenance. 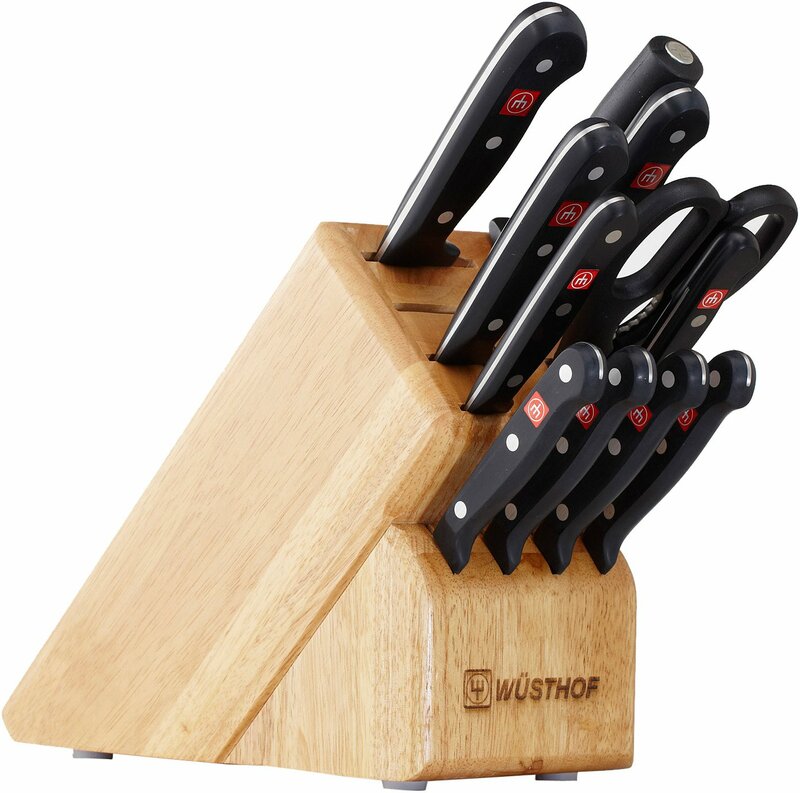 They are easy to clean and can help balance the knife as compared to wood or plastic. The only concern with stainless steel is the grip can be slippery if gotten wet. Santoprene handles is another type that can fall under the plastic category. They are made from a blend of synthetic rubber and polypropylene. This provides a really good surface for gripping. The warranty and return policy is an important factor to consider when buying a cutlery on Black Friday. Make sure that you can return your knife set if it does not meet your expectations when you get home. Especially with all the excitement of good deals mixed in with the pressure for high demand during a short amount of time you want to make sure that you are not stuck with a knife that you are not happy about. Look into any fees or shipping costs that may be required by the company to return the item. You don’t want to try and return the knife to only find out that it will cost you the savings you may have gotten from the sale. Also be aware of the warranty for the knife. A company that does not stand behind their product with a big red flag.